When in the course of teaching it becomes necessary to leave the confines of the classroom and connect with others, we three teachers will brave the past to bring history to life for our students. 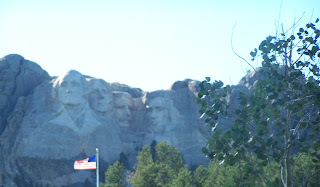 I have always wanted to visit Mount Rushmore. 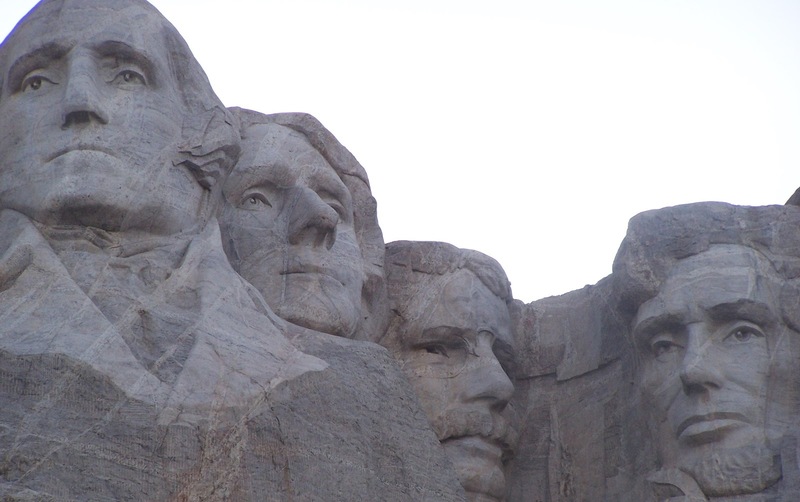 Seeing the faces of the four presidents carved into the granite face of the mountain is quite an impressive sight. How did such a monumental event even come to be? Mount Rushmore got its name quite innocently. 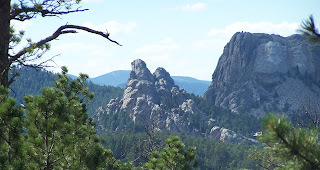 A lawyer from New York, Charles E. Rushmore, was visiting a local tin mine in the Black Hills when he asked a friend what the name of the mountain was. His friend laughed and said it had no name – and then gave it Rushmore’s name. Ever since, it has been called Mount Rushmore. Amazingly, the mountain was officially given the name in 1930, some 45 years after Charles E. Rushmore made his visit to South Dakota in 1885. 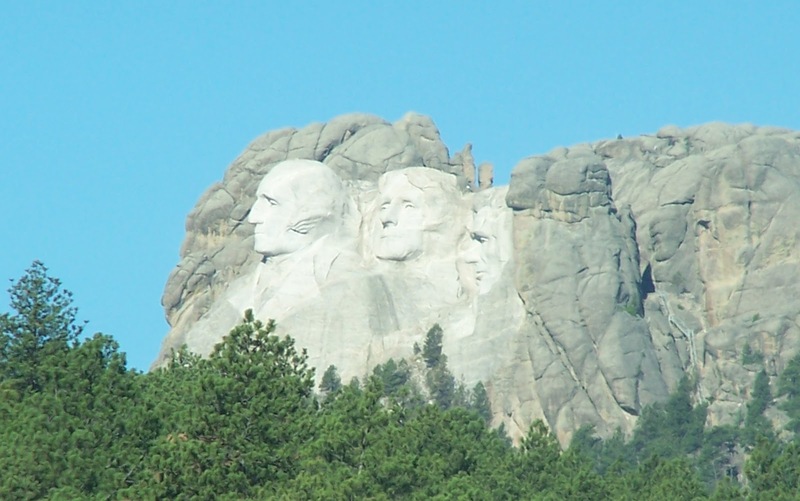 Perhaps out of a sense of responsibility, Rushmore actually gave the largest donation to the project of sculpting the mountain. He gave $5000. It may not seem like much, but back in the 1920s and 30s, this was a small fortune. (Remember the Stock Market Crash of 1929? Most people had lost all their money then). Doane Robinson was the main person responsible for this monument called the Shrine of Democracy. He wanted to create a reason for tourists to come visit South Dakota and the Black Hills. 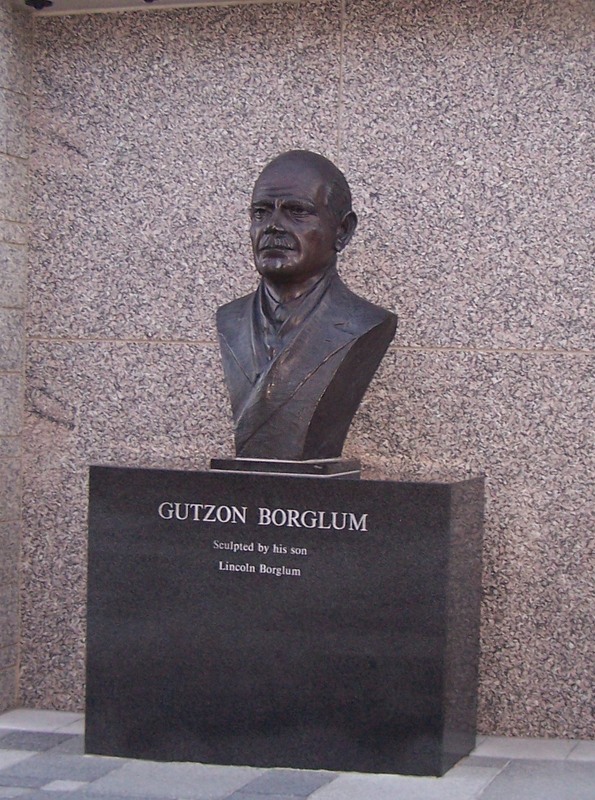 He learned about the sculptor, Gutzon Borglum, who was working on a similar project in Georgia. When that project fell through, he convinced Borglum to come to South Dakota to come see the area. Robinson was the main person responsible for collecting funds to complete the project. 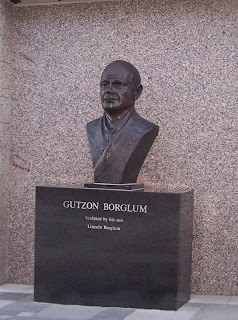 Gutzon Borglum was the sculptor. He was nearly 60 years old when he began working on the Shrine of Democracy. Born in March of 1867, Borglum started his own studio in California. His first memorable sculpture was of General John C. Fremont. He then traveled to Europe for many years. In 1901, he returned to the United States. Other works of his include the bronze equestrian sculpture of General Phil Sheridan in Washington, DC, and the Bust of Lincoln in the Rotunda of the Capitol. He was asked to sculpt a statue of Lee, Jackson, and Davis on the Stone Mountain in Georgia. Far too many problems arose and the project was scrapped after he finished Lee’s face. The project was never finished and Lee’s face was destroyed. It was Doane Robinson who brought Borglum to South Dakota. Many people do not read about the chief stone carver under Borglum. His name was Luigi Del Bianco. 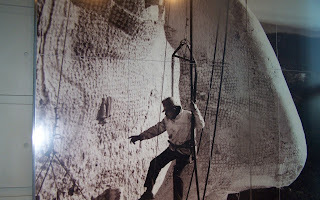 He met Borglum early on in the design process of Mount Rushmore. He assisted Borglum with the Governor Hancock Memorial in South Carolina, the Stone Mountain in Georgia (before Borglum stopped working on it), and the Wars of America Memorial in Newark, New Jersey. His job was to carve the main features of the presidents. He did Lincoln's eyes and Jefferson's face. He worked on the monument until the funds ran out. The project was agreed upon in 1924 and received the backing of Congress with the help of Congressman William Williamson and Senator Peter Norbeck. Finally, after getting Congress to agree to allocate funds, the sculpture was started in 1927. 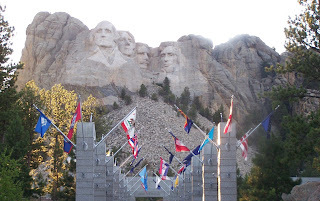 Mount Rushmore took 14 years to complete, and even then it was not finished the way Borglum wanted. 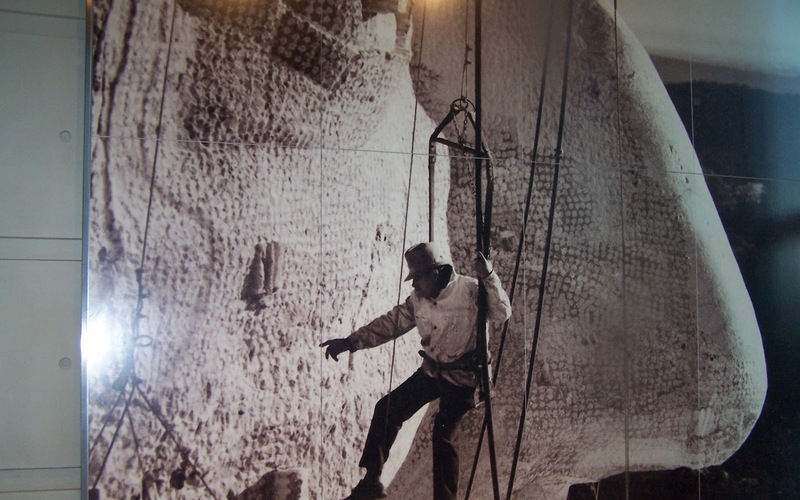 He wanted the figures to be from the waist to the head, but after his death in 1941, funding was not forthcoming. His son put on the finishing touches, but the rest of the bodies were never completed. Calvin Coolidge was president at the time and insisted on having two Democrats and one more Republican in addition to George Washington. So, why the other three? 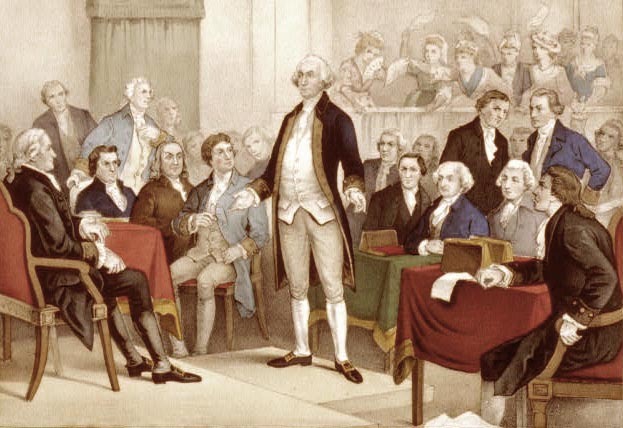 Of course we all understand why George Washington – he was the father of our country; our first president; and he was the commander-in-chief of the American forces during the Revolutionary War. Thomas Jefferson was the main author of the Declaration of Independence – the document which guides countries to this day in setting up their own democracy. He was also instrumental in the Louisiana Purchase, the parcel of land that doubled the size of our country. Abraham Lincoln was chosen because he helped mend a broken country and keep it from self-destructing. He abolished slavery so all men were free. Finally, Theodore Roosevelt was chosen because his influence helped our country move into the 20th century. He helped construct the Panama Canal which linked the east coast of our country to west coast. Finally, he was known as a trust buster – keeping companies from gaining too much power. Mount Rushmore cost $989 million to construct. The granite was chosen because it only erodes one inch every 10,000 years. 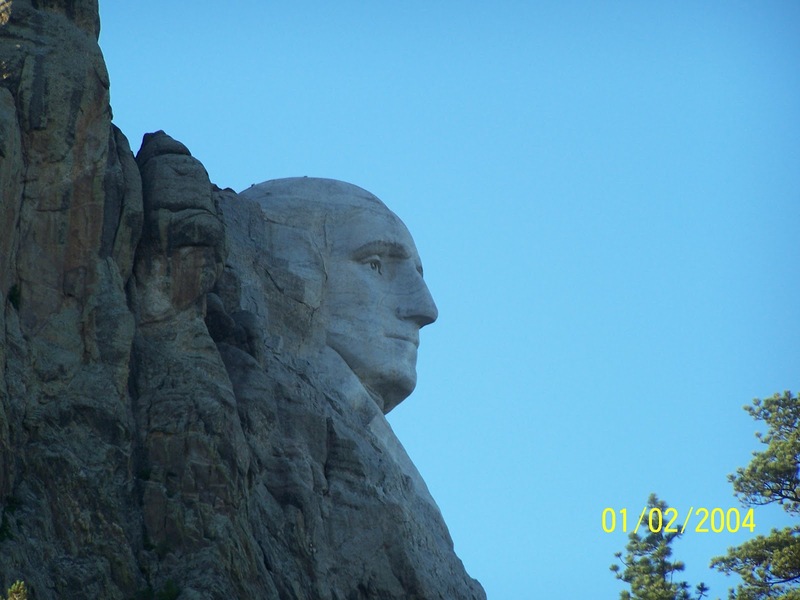 George Washington’s head was completed and dedicated on July 4, 1934. Thomas Jefferson was supposed to be on the other side but the granite was not good enough. His head was completed in 1936. Abraham Lincoln’s head was completed on September 17, 1937. Theodore Roosevelt’s head was finished in 1939. Did you know there was a campaign to add Susan B. Anthony’s head to the group? They could never raise the funds to do so. The sculpture took 14 years to complete. The statues are 60 feet high. Each nose is 20 feet long. The mouths are 18 feet wide, and the eyes are 11 feet across. Once World War II broke out in 1942, funds were scarce and the memorial could not be finished. A great link for Mount Rushmore is run by the National Park Services. Manifest Destiny and . . .
Manifest Destiny seemed to be our right. Sounds good, doesn't it? We have the right to settle all the land from the Atlantic Ocean to the Pacific Ocean. Manifest destiny was not so great for the people who already owned that land. Take for instance Texas. The land belonged to Mexico, but they sold land grants to many settlers to cultivate the land and live there. Americans moved west and took root in the land, but soon so many Americans were living there that the United States wanted the land for itself. Santa Anna did not want to let Texas go. At the Battle of the Alamo, Santa Anna devastated the Americans, killing over 200 men and then executing over 300 prisoners. The American general - Sam Houston later defeated Santa Anna at the Battle of San Jacinto. The Treaties of Velasco was signed and Santa Anna was sent back to Mexico. Unfortunately for Santa Anna, he was deposed as president and the treaty was declared null and void. The United States tried to purchase the land to the Rio Grande River, but Mexico did not want to part with it. In 1846, war was declared against Mexico and Zachary Taylor (who would later become president) brought his troops to fight for the land. General Winfield Scott (later a major general in the Civil War) entered Mexico City. When it was all over, the Treaty of Guadalupe Hidalgo was signed and the land was purchased for $15 million. So what was the problem? We now had the land. Remember at this time in our history, any land entering the new country had to declare itself as free or slave. The new territories were no different. A delicate balance of power was tipping back and forth for both sides. Both sides were eager to win. Both sides would do whatever necessary to swing the balance in their favor. The Wakarusa War erupted in 1855. Have you ever heard of it it? I hadn't either until I saw it on a documentary about the Civil War. We have all heard about Bleeding Kansas though. The Wakarusa War started when a man wanting Kansas to be free was shot by a man wanting Kansas to be a slave state. The violence escalated until people for both sides poured into Kansas to settle this fight for free versus slave. John Brown and his free-staters were part of this group battling over the new territory. A treaty was signed and the first hint of trouble was quelled. At least for the moment. Not long after this, Charles Sumner, a senator from Massachusetts was attacked on the Senate floor by Preston Brooks, a senator from South Carolina. Brooks was so incensed by what Sumner had said in his speech on May 19th and 20th, that he took his cane and beat Sumner so severely that the man lost consciousness. Northerners were clearly upset by Brooks' behavior and yet Southerners cheered Brooks for standing up for slavery. Sumner did not return to the Senate for two years due to the stress and severe headaches he suffered from afterwards. When he did return, he continued to fight against slavery, taking every opportunity to declare the evilness of holding men and women against their will. Emotions continued to run high throughout the country. John Brown did not let up. Two of his sons were responsible for attacking two men who were pro-slavery. They dragged the men from their homes and beat them to death. John Brown continued to travel around the country, gathering funds and speaking out against slavery. He managed to garner the help of six wealthy men from the North. He even met with Frederick Douglass to gain the man's support. He hoped Douglass would get the slaves to rise up against their masters in a grand insurrection. On July 3, 1859, John Brown thought he had managed to garner enough support to stage a major stand and headed for Harper's Ferry. He arrived at the armory, waiting for more men to arrive. He expected 4,500 men to arrive, but only 21 men including his three sons were there. Finally on October 16th, with only those few men, he decided to go ahead and take over the armory. He changed his plan to move south, striking one county after another. His plan would never see light. John Brown and his men were holed up at the armory with their prisoners, but the United States army had been alerted and was on their way. In the meantime, a train arrived at Harper's Ferry carrying passengers. The train was attacked and one man was killed. The local men joined the militia to go against John Brown, not wanting to wait for the army to arrive. Brown's men were trapped. By October 18th, the marines arrived and surrounded them. Robert E. Lee and JEB Stuart were in charge of the attack. Brown and his men were captured. Two of his sons were killed. Brown was questioned and then tried in Virginia. He was charged with the murder of five men. A Charlestown jury found him guilty. On December 2nd, 1859, John Brown was hanged. The South re-organized their militia, fearful that more uprisings would occur like John Brown's. They wanted to be sure to not let what happened in Kansas and at Harper's Ferry happen to them. This militarization helped prepare the South for the upcoming Civil War. If you are a teacher, you need to check out Fund for Teachers. It is through the generosity of donors we were able to have this wonderful experience. The website for Fund for Teachers is www.fundforteachers.org - Check it out today! It will be the experience of a lifetime!!! What was it like for kids in Colonial Times?